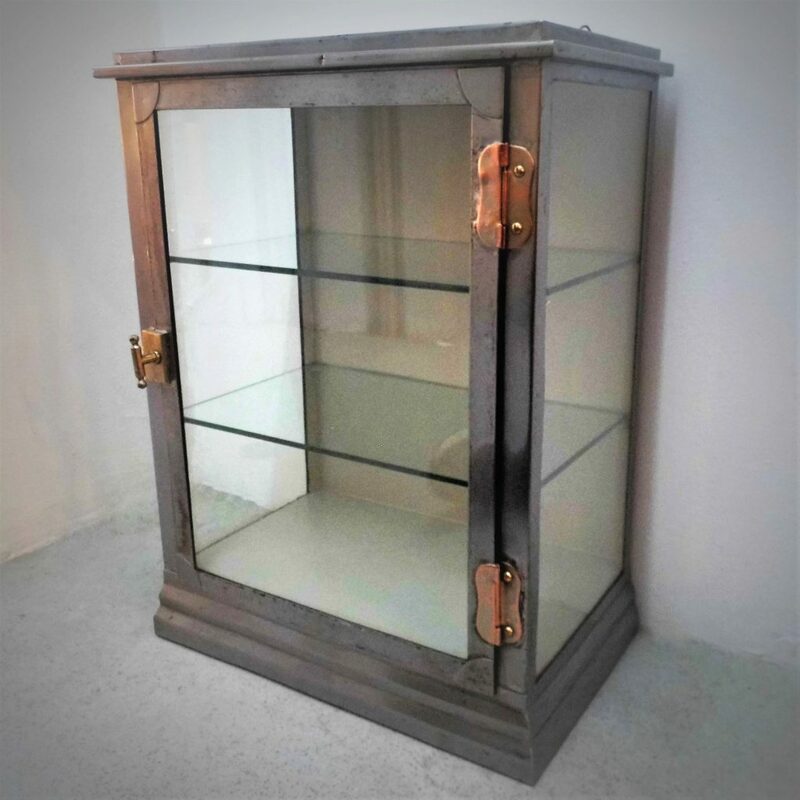 A fantastic polished steel medical cabinet circa 1920, would make a great bathroom cabinet. 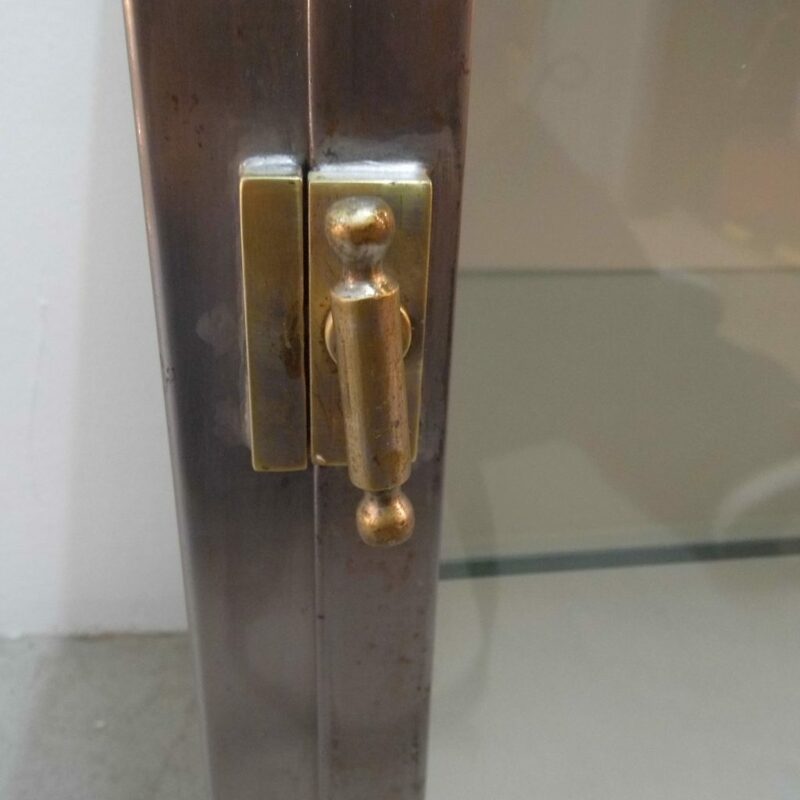 This has more traditional look to it with a nice contrast between the brass catch, copper hinges and polished steel frame. This can be free standing or can easily be attached to a wall. 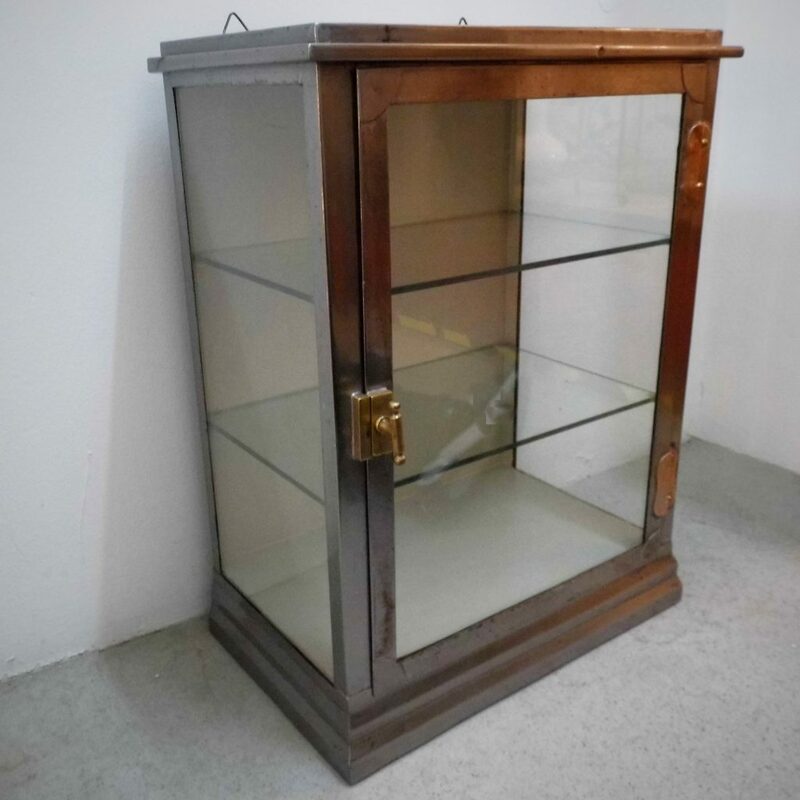 Inside are two fixed glass shelves. It has been professionally stripped and burnished. It is in good condition and ready to use. Measurements 40 cm wide by 23 cm deep 50 cm high. We are able to accept credit and debit cards over the phone on 02072680662.please contact us for cheque and bank transfer payments.Alternatively we can accept Paypal using the button below. if you have any queries please give us a call on 07717583908 or use the contact form below.